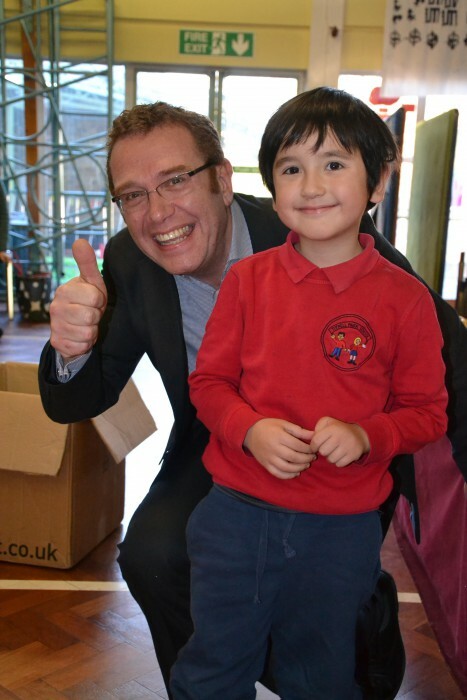 The school welcomed a lovely new head for the day today. The grand total for our fundraising efforts on behalf of Children in Need came just a tenner short of £400 today. The after-school snack sale and balloon cartooning brought in £162, despite being crammed into the lobby as the weather turned unreliable. During the week, “Guess the number of sweets in the jar” plus the madly popular “Head for a Day” draw raised £228 (£227.78 to be precise). Thanks to everyone who contributed cash, cakes, time and effort – particularly Diane, for her tireless all-weather ticket-selling at the gate. Here’s our new head! 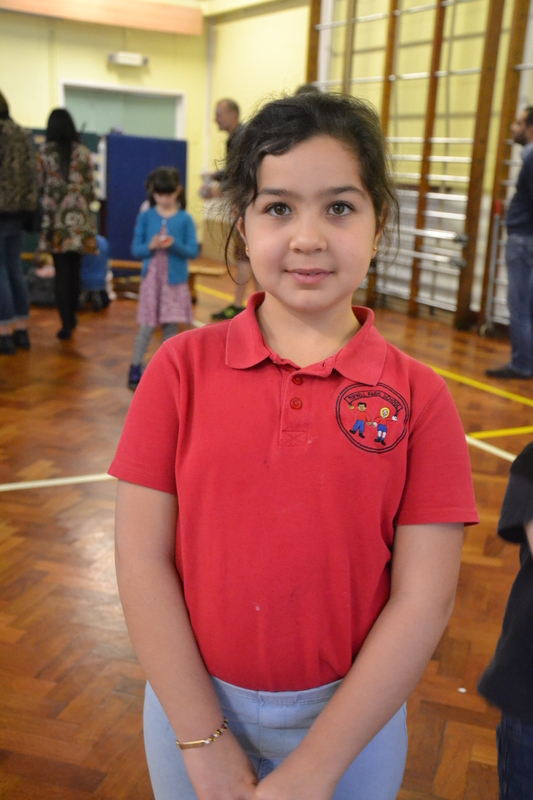 Her very first job was to announce the winner of all those sweets – Maya in Andromeda class. Then it was time for the “Well Done” awards – being a head is non-stop work! Mr Scarborough was delighted to win a sticker from his new boss (Andrea and Ms del Pozo were among the recipients today). Meanwhile, the lobby soon became a scrum. 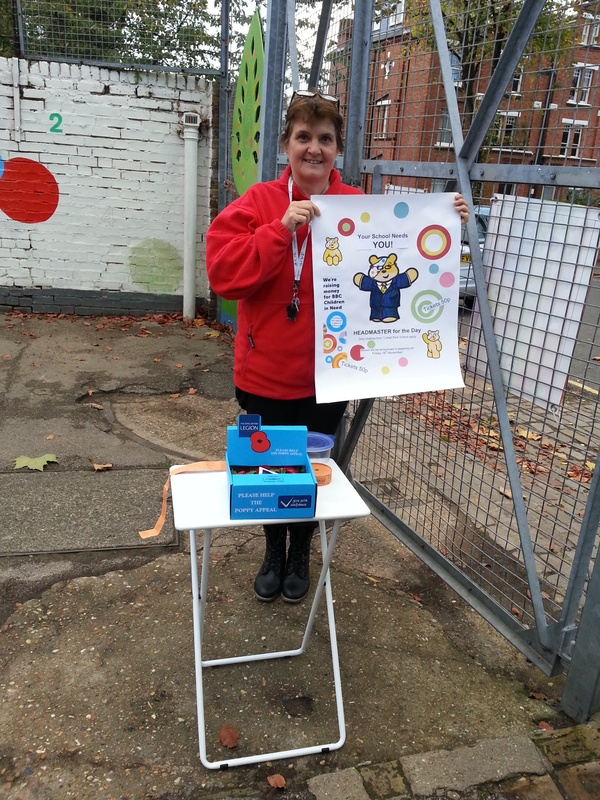 Well done everyone for rising to the Children in Need-themed snack challenge! Somehow, the balloon cartoon table was an island of calm. Donations from all that dressing up went to a good cause. Well done, Tufnell Park! Today we received our certificate of thanks from the Rural Libraries project for the money you raised on World Book Day. 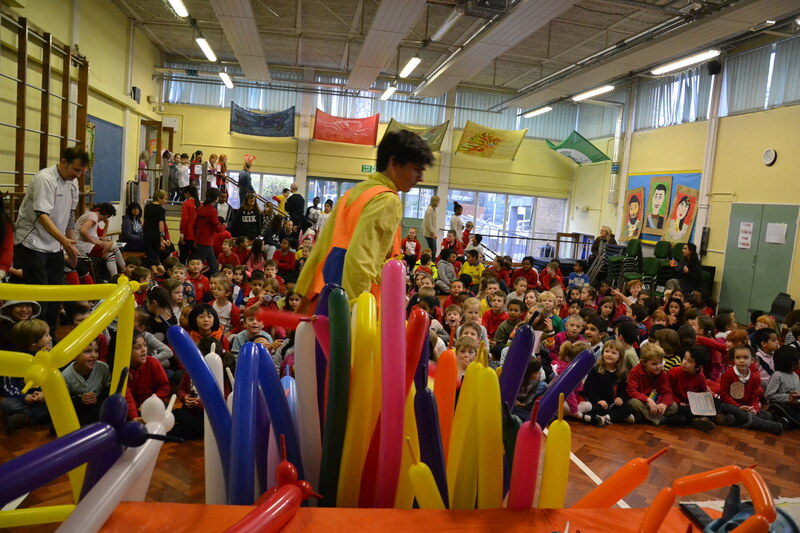 To celebrate, we’ve posted a new gallery of photos from World Book Day and Bring a Parent/Carer to School week, back in March. Click here to have a browse. And remember there’s a second Bring a Parent/ Carer to School week from 8th-12th June. Keep an eye out for the class visits timetable in due course (a copy will be posted on this site). Mystery designer: who are you? This anonymous offer appeared on one of the feedback forms – we’d love to know who you are! Design A: Multi-coloured inspiration was a feature of many of the designs, and this one got a lot of votes. Design A: Here it is from another angle. Design B: Simple, bold and bright. In real life, we’re stuck with a dark green carpet for now but there’s definitely room to chequer up the walls and ceiling. Design C: …with a heartwarming message about our school. Three winners with Mr Scarborough, and artist/ parent Rachel, whose next job is to synthesize the three designs into something we can paint on Give & Gain Day, 15th May. 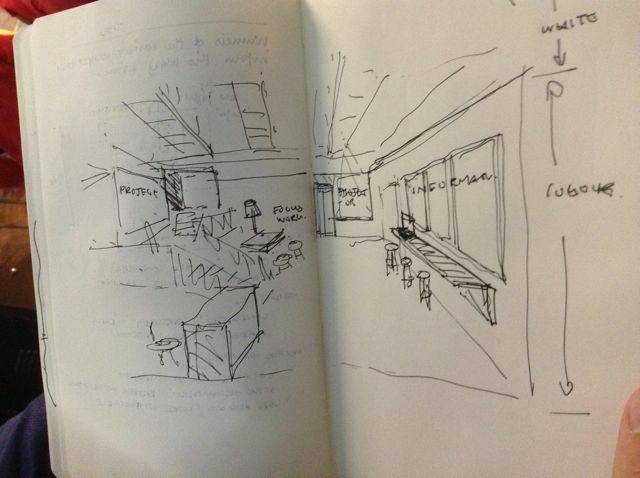 There’s been a lot of sketching: now come and see the lobby designs in displayed IN the lobby from Thursday. Architect/ parent Patrick also spoke briefly this morning about the progress of the lobby design project and the feedback he’s received from families and children. Lobby designs will be exhibited IN our lobby from Thursday onwards (along with the originals of the corridor designs above). Please stop by and take a look. Could this one be the winner? Please stop by after school one day this week and take a good, long look at the designs that are exhibited there. Children and staff are voting on their favourites, and the top three choices will be revealed at a special assembly on Tuesday 28th April, right after drop off. Come along if you can! 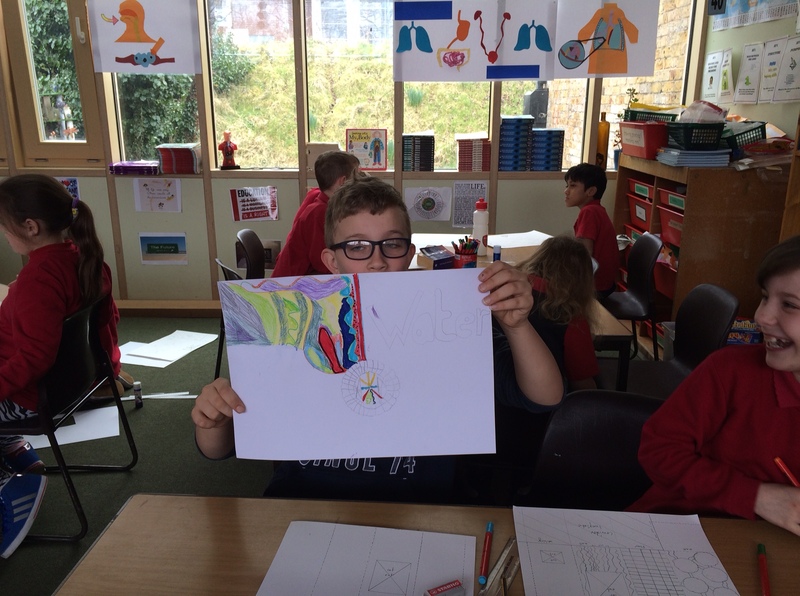 Children worked hard, dreaming up and drawing their own designs. …many of which are quite unexpected. Come and see the exhibition (you may need some time to examine them all). …or maybe floating through this. Words are another dominant theme. Will they go for the pre-technicolour version? Or the tunnel of love? Come to assembly on 28th April and find out. Great assembly this morning, as architect Patrick (father of Saskia in Andromeda and Magnus in Cygnus) and artist Rachel (mother of Enzo in Andromeda) introduced the “Love Your Lobby (and long corridor! )” project to the school. Classes have picked representatives for the two design teams (lobby and corridor), but every child’s suggestions are invited as part of the process. The kids were agog as the project was introduced. You could have heard a pin drop… until Patrick mentioned “Minecraft”. …they were literally gasping! Let’s see what their own imaginations come up with now. “Let’s make it the most exciting school in the Universe!” He said it, and they’re ready to take it on. Do you love your lobby? 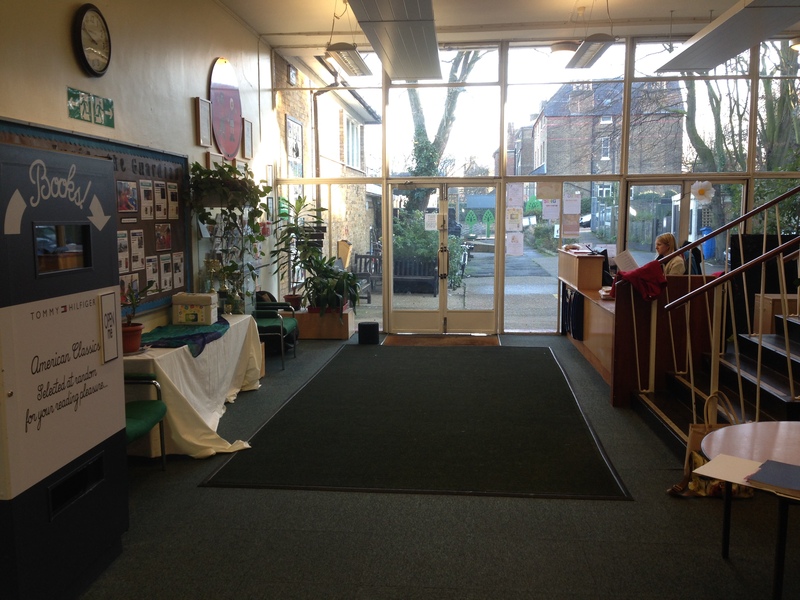 In particular, the lobby of Tufnell Park School, constructed in the 1950s and blessed (or otherwise) with additions and subtractions over the years? It’s relatively spacious… but is it inspired? 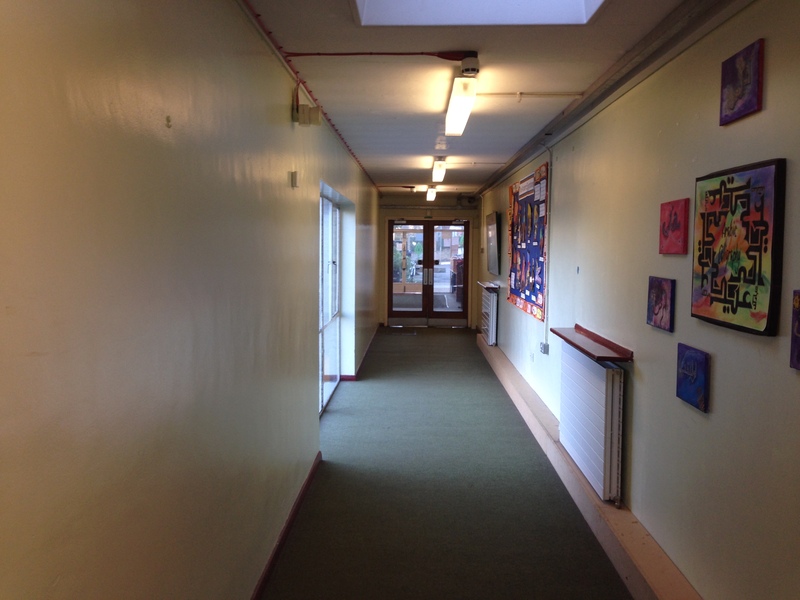 Corridor from the Juniors’ classrooms – what’s not to love? And, if we’re refreshing the way our school buildings look and function, who better to do it than our children? Of course, there’s precious little money to spend on redecoration and anyway, we’d like to do something a tad more ambitious than just repaint the walls. Enter our excellent parent body and, in particular, an architect Dad and an artist Mum (not from the same family! ), who are giving their time and expertise to lead Design and Art Learning Treats – the lobby and corridor respectively. The process will involve the whole school in re-envisioning how our lobby and corridor could be, led by smaller design teams for each project. …do YOU think they’ll come up with? For more details, feast your eyes and imagination with the initial Love Your Lobby project plan. If you can, come to assembly at 10:20am on Monday 26th January, when the project will be presented to the whole school. And look out for PACT folder notices in the term to come: they’ll include consultation letters asking for feedback. Final designs will be presented at the end of term. How will we afford it? By doing it ourselves, of course – with, we hope, the help of a team of business volunteers, just as we built the Infants’ Playground last year. Look out for more news of Give & Gain Day 2015 and block out Friday 15th May in your diary now if you’re able to give us a hand. Hard to tell who’s happier: Mr Scarborough or the winner of our first prize. There were plenty of big smiles at assembly this morning as Mr Scarborough announced a string of winners for this year’s Winter Wonderland raffle. For those of us who went home without a prize, we can take comfort from the fact that all profits go to the HSA to spend on all our kids: the total will be announced here when the final receipts are in. Brilliant work, Tufnell Park! You raised £600.17 for Children in Need today. That figure represents a whole lot of fun and the enthusiastic help of a whole lot of people – not to mention 17 whole pence more than we brought in last year. 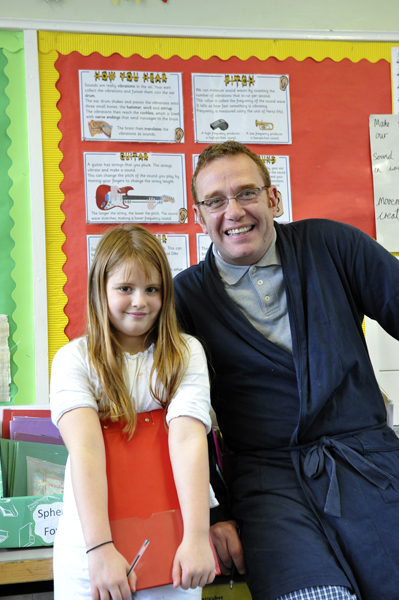 We had a new headteacher today – all day – and Mr Scarborough looks more than happy to relax in his jammys while she takes the helm (although he also had to make her a lot of tea, apparently). There’s no fun like PJ fun. …with help from some very well-known people. Just like an ordinary assembly, really – except there was no need to get dressed. As ever, our staff led from the front. Time for some after school refreshment. You could have cut the air with a knife as the coins went through the counter. Shattered. And definitely worth it. Eat chocolate: help Children in Need. 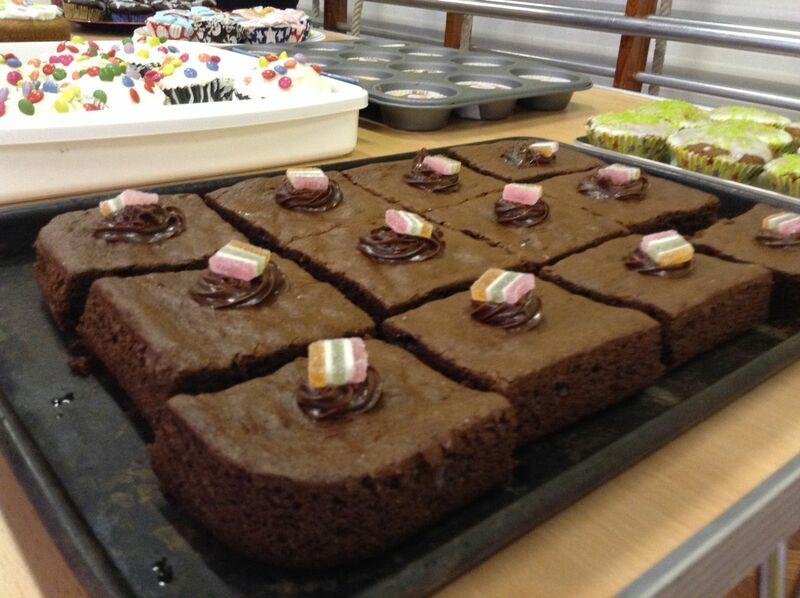 It’s our Children in Need fundraising day on Friday, so please donate CAKE for the after-school sale: let’s move a cake mountain for this excellent cause. You’ve also got two more days to Guess the number of sweets in the jar (on the front desk in school reception) and for your child to put in their bid to Be Head for the Day: tickets are 50p. The winner will be announced at Friday assembly and will take up their position wearing pyjamas. Luckily their deputy, Mr Scarborough, will be wearing pyjamas too, so everyone will feel right at home. Head teacher recruitment: surely we didn’t do it this way last time? And finally… the next HSA Committee meeting is on Tuesday 18th November at 8:00pm. Winter Wonderland will be high on the agenda, plus upcoming projects for the spring term. Please email HSA secretary, Lucy, if you’d like to come and she’ll make sure you have the address. 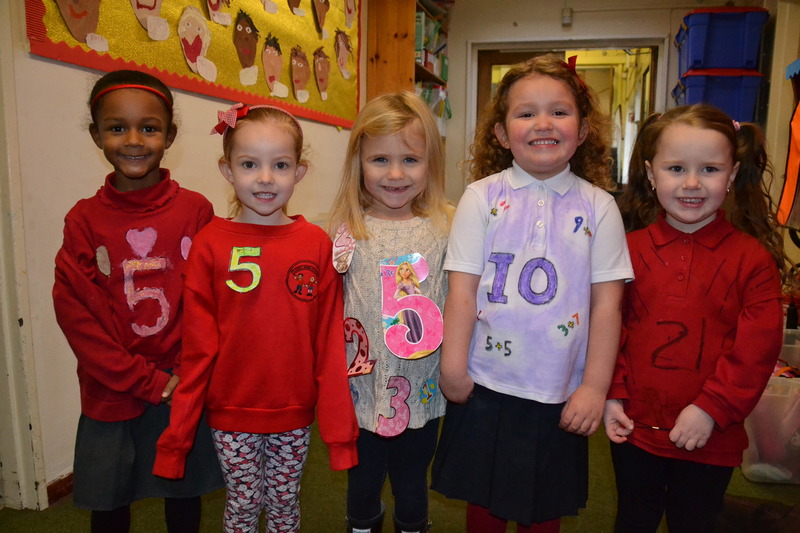 There was a spectacular array of numbers streaming into school this morning… For everyone who worked so hard on costumes, we thought you’d like a quick update! – it’s got them interested! Send us your pictures! We’ll post a gallery later in the week.